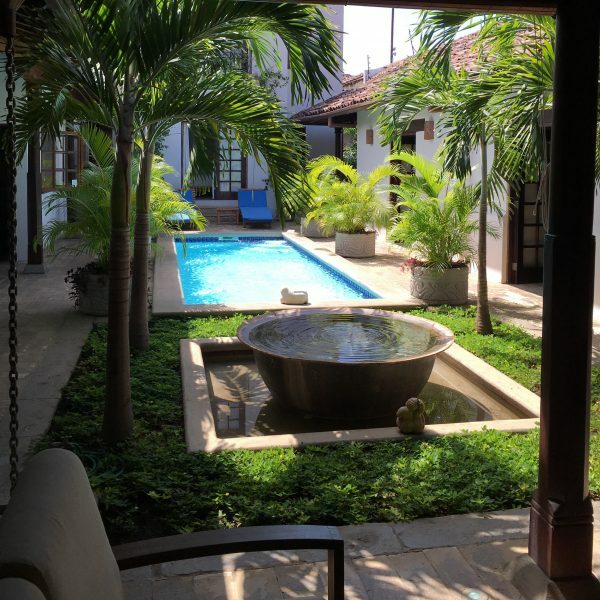 Stay in a luxurious villa in the historic heart of Granada, Nicaragua. 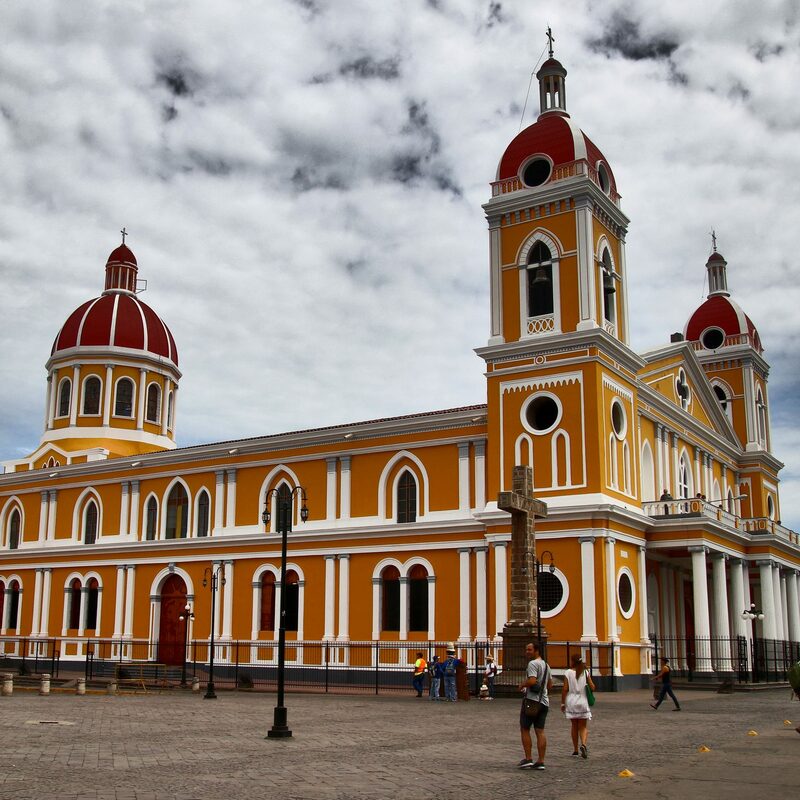 Casa Consulado is private home in the historic district of Granada. Built in the early 19th Century, the house is now fully restored with all the comforts you would expect. Classic layout with central courtyard and pool, the home offers tranquility and beauty. From the rooftop terrace to the palm covered fountain, the house is designed to please. Using all local materials Casa Consulado is a tribute the richness and culture of traditional Nicaragua living. Casa Consulado has four bedrooms, fully stocked modern kitchen, outdoor dining room, several sitting areas, and a lovely rooftop terrace overlooking volcanos, church steeples and the tile roofs of old Granada.There are two master suites with king beds, European style bathrooms and lovely sitting and work areas. Two other bedrooms have double beds, shared baths and ensuite sink/vanity. All bedrooms are air conditioned. A one bedroom loft with kitchenette and bath, the guest house can be rented separately or in addition to the main house. It has a lower level dining and living area and an upper sleeping area reached by a hand-crafted circular stairway. It is located in an original adobe section of the home, has a separate entrance, 30 foot ceilings with open rafters, and, if rented as part of the main house, has tall double doors that lead to garden and pool area and into the front sala. 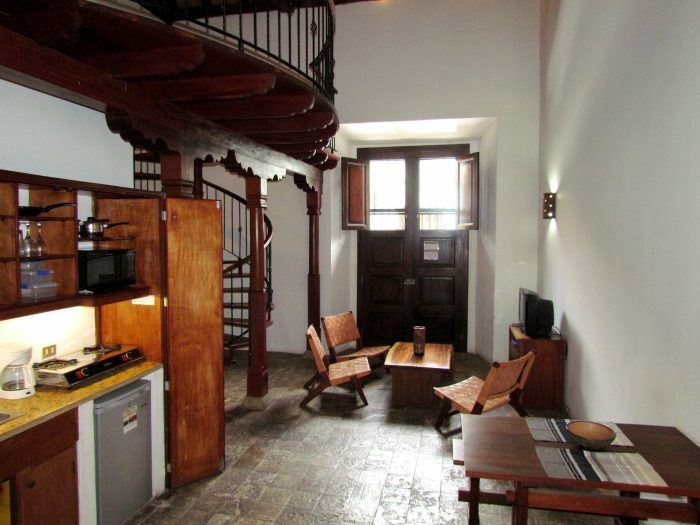 Casa Consulado is located on quiet Calle el Consulado one block west from the Parque Central — the heart of Granada. Restaurants, museums and nightlife are an easy walk. Safe, on-street parking is always available.